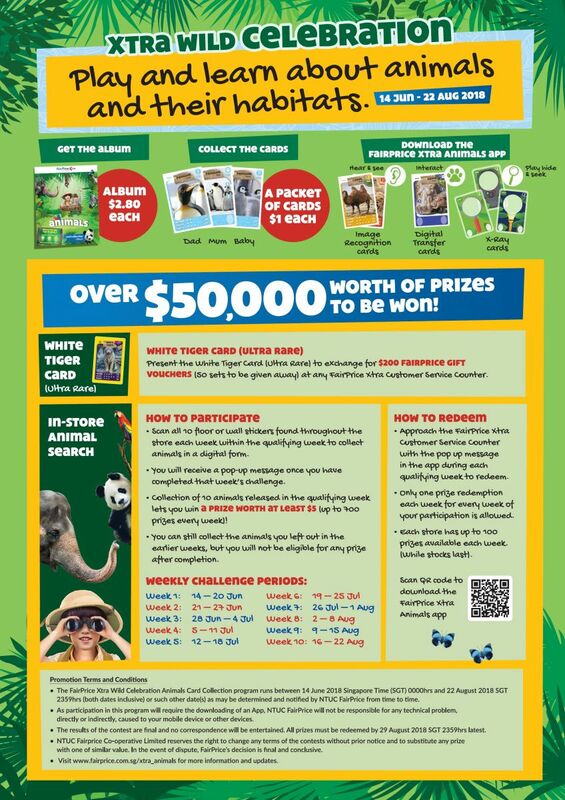 Jem® - Explore, Experience and Enjoy the world of animals at FairPrice Xtra Jem! Explore, Experience and Enjoy the world of animals at FairPrice Xtra Jem! Learn about animals from all over the world & their habitats from now till 22 Aug 2018! Get an album, collect the cards, and download the app to join in all the fun now! See in-store or visit our website www.fairprice.com.sg/xtra_animals for details.